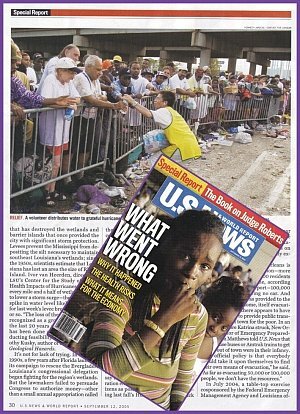 Report from the United States, U.S.A.
On Monday, August 29, 2005 Hurricane Katrina, one of the worst natural disasters in U.S. history, struck Mississippi, Louisiana and Alabama with 225 km per hour (140 mph) winds and 9-meter (30-foot) high sea waves. Along the coastlines of these states many homes were damaged or completely destroyed by the powerful winds. However, flooding was the most destructive aspect of the storm with the main levees in New Orleans, Louisiana breaking and eighty percent of the city being inundated with water. 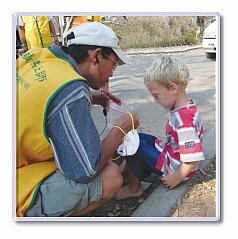 In 1996 Master instructed initiates in Centers around the world to take disaster relief courses and purchase walkie-talkie systems and emergency aid kits. 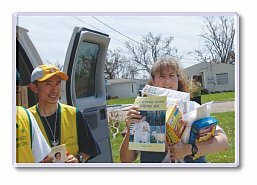 Luckily, many US Centers complied with Her noble directions and their efforts paid off during the Hurricane Katrina relief mission conducted by disciples from several states. For example, when the relief team entered areas where cell phones were ineffective they relied on walkie-talkies to communicate. And incredibly, only two days before the disaster, Supreme Master Ching Hai had lovingly instructed Centers worldwide to “always in the future” report on all disasters and request aid. 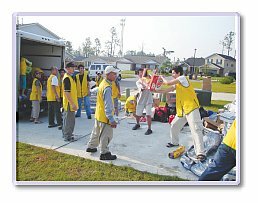 After initiates from the Florida and Houston Centers witnessed Katrina’s devastation on television, they organized a joint relief mission, and as the hurricane ravaged Mississippi, an early response team was also dispatched from Florida. While on the highway, the Florida Center disciples informed their reconnaissance team that a brother was living in Gulfport, Mississippi right in the middle of the storm’s path. Due to the Category 5 (≥156 mph/ ≥250 km/h) winds produced by the storm, the initiate’s phone was out of service. However, by performing a reverse directory search on the Internet, his address was relayed to the team just before they entered the area. Then through Master’s arrangement, just before he was about to evacuate, the team met the brother at his house, which happened to be located just outside the storm surge line and was still standing. The brother gladly offered the home as the team’s headquarters and led the initiates to the worst hit neighborhoods in Gulfport to distribute supplies. At that time no other relief agencies were operating in these areas. 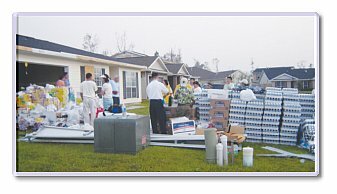 In front of a bother’s Gulfport home, the relief team’s headquarters, initiates organize and load supplies for distribution. Meanwhile, on the evening of Wednesday, August 31, three initiates from Ohio and Arizona loaded bread, sandwiches, peanut butter, water, flashlights, diapers, baby wipes, feminine necessities and other items into a minivan and rushed to Louisiana. While the first team was already working, other disciples from U.S. Centers in Florida, Oregon, Virginia, Texas, Maryland, Ohio and Indiana immediately began to help with the relief efforts. So in total over 100 initiates from fourteen states participated. Path of Hurricane Katrina (broken yellow line) with routes by which relief teams entered the disaster area from different states (coffee colored arrows). This caused a major communication problem in zones where cellular phones were inoperative as the initial group had six cell phones but was lucky to receive even one signal at any given time. By chance, a brother happened to have written an online database system just before the Hurricane struck and quickly converted it to a disaster relief website where updated information about the various teams could be posted. The relief team also had laptops with wireless Internet capabilities that were also very useful for obtaining data about the disaster stricken areas, including updated lists of government shelters and satellite imagery. Another useful technology the initiates used was the Global Positioning System (GPS)—a satellite navigation system used for determining one’s precise location and providing a highly accurate time reference almost anywhere on Earth. In the Gulfport-Biloxi area, many street signs were down, so the relief workers used an ultra-portable GPS receiver connected to a cell phone to determine their location. They also placed markers for locations on the GPS map where they wanted to return in the future. 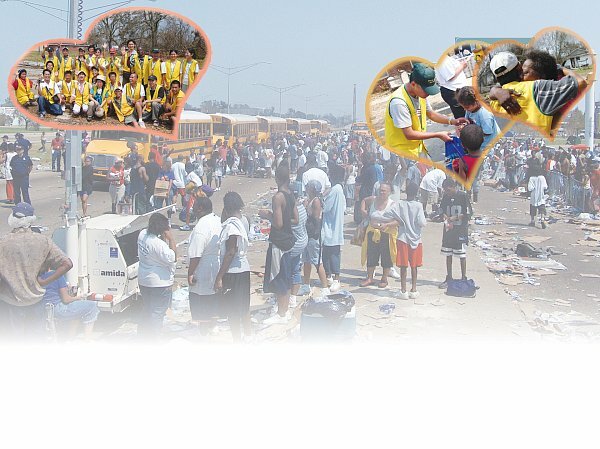 Thus, the Hurricane Katrina relief effort was the most high-tech project of its kind ever conducted by US initiates. On August 31, the third day of the storm, the world heard shocking reports that the entire city of New Orleans was almost completely submerged under water and approximately 100,000 people were in danger of drowning. In response to this news, a second relief team was immediately formed with a base camp in Baton Rouge. Unfortunately, however, all highways into New Orleans were blocked by police and so the team was refused entry several times. But the initiates were persistent and began searching the Internet and studying maps to find an entry point. The sisters and brothers also prayed to Master and explained to the police why they wished to enter. And through Master’s arrangement a sister initiate who skipped her scheduled chemotherapy session to work on the team, had brought along her official Red Cross badge so the police allowed The Supreme Master Ching Hai International Association relief team to enter New Orleans. The sister later revealed that she had been inspired by Master’s 1996 suggestion to take a disaster relief course, studied CPR and emergency relief techniques and received certification and a badge from the Red Cross. Without Master’s forethought, she would not have obtained the badge and the historic mission in New Orleans would have been much more difficult to conduct. With the team’s auspicious entry into New Orleans, the operation shifted from Mississippi to the heart of the disaster zone. 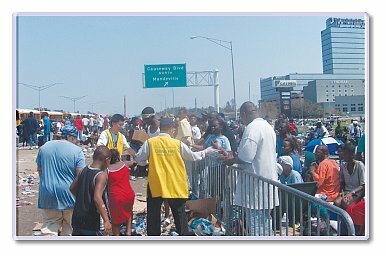 Accordingly, a new headquarters was set up at a hotel in Baton Rouge, and over the next two days the relief workers distributed water, ice, food and other much needed supplies to over 3,000 people housed in a shelter area outside the Superdome in New Orleans. Brothers view hundreds of refugees who had been transported from the Superdome by helicopter waiting to board a bus to go to other cities. The team immediately brought them water and supplies. Then on Friday September 2, many disciples from Oregon, Los Angeles and Kentucky arrived to join forces with the existing team, and after gaining permission from a local Wal-Mart, the workers used the store’s parking lot to fill 1,400 relief packages and many cases of water. Since the temperature was over 38º Celsius (100 degrees Fahrenheit), the initiates also bought ice and 1,100 servings of ice cream to distribute in the disaster area. 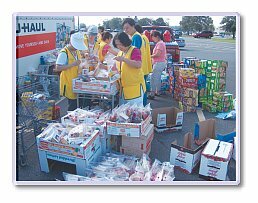 In New Orleans initiates use a Wal-Mart parking lot to fill relief packages. 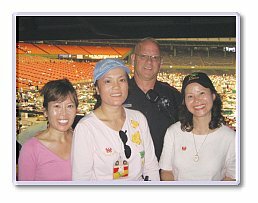 While aiding the victims, the disciples were interviewed by TV reporters and photographers, and a photo of a team member in action appeared in the September 12 issue of US News & World Report, the third largest newsmagazine in the U.S. Relief: A volunteer distributes water to grateful hurricane victims waiting for buses near interstate 10 in Metairie, outside New Orleans. The situation at the Superdome was truly unbelievable. Although hundreds of military troops, police and media personnel were in the area, they had all failed to provide the refugees in the building with adequate food and water, and as a result people were dying. So on the afternoon of September 1, the mayor of New Orleans appeared on CNN proclaiming a “desperate SOS” for the people staying at the Superdome. At this time, the relief team members were virtually the only group providing for the victims’ basic needs in the shelter area. The next day government agencies, along with the Salvation Army and other organizations brought truckloads of food and water to the facility. The team thus moved its headquarters back to Gulfport, where there were still thousands of people in poor neighborhoods who could not afford to evacuate and were left without electricity, food, water and gasoline. 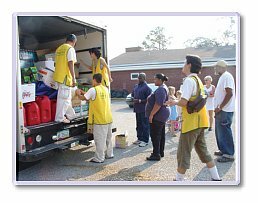 Thus the team worked from September 4 to 8 until basic services were established, distributing packages of food and daily supplies and 37,460 bottles of water to 3,900 households in Biloxi, Gulfport, Pass Christian, Bay St. Louis and Waveland. In Gulfport, Mississippi, relief team members visit poor areas and victims crowd to receive much needed supplies. After the Army, American Red Cross and Salvation Army arrived in Mississippi, many distribution centers were set up and several areas regained electricity. 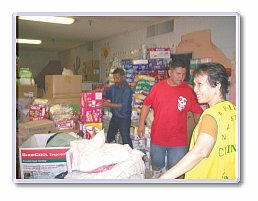 So on September 8, 2005 the relief team began moving its headquarters out of Gulfport. Meanwhile, displaced people from New Orleans were evacuated by bus to neighboring Texas, where initiates from the Dallas and Houston Centers formed welcoming teams to comfort and bring Master’s love and hope to the people. Many survivors had undergone physical and emotional ordeals and now had no home to return to. “No wonder you guys are so loving—Like Master, like disciples,” says one relief recipient. A brother offers food to comfort a child who had lost connection with his parents. In Dallas, the Association’s welcoming team brought care packages to evacuees at Reunion Arena and the Convention Center, and the most appreciated items were new socks and underwear. Team members also helped the Red Cross with cooking, medical care and paperwork. 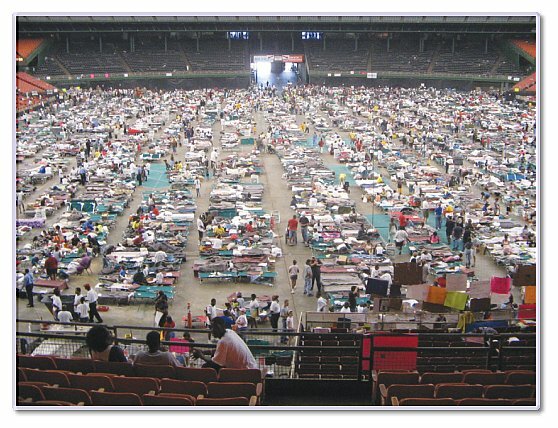 In Houston, Director Ercel Albert of the American Red Cross, who was in charge of Houston area shelters, arranged for the Association’s welcoming team to visit many facilities that had been converted into shelters for the Louisiana evacuees. After seeing the initiates’ gift packages, Ms. Albert also asked that several hundred packages be delivered to the Red Cross Headquarters, where many evacuees were still arriving in search of shelter. This request was unprecedented since the Red Cross normally does not accept food donations. On Friday, September 2, the disciples quickly purchased materials and assembled 6,000 gift packages of bottled water, nutritious snacks and personal necessities. The next day initiates from many states arrived at the Houston Center and traveled to local shelters and the Convention Center to distribute several thousand of the packages. 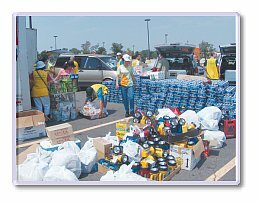 Then on Sunday, September 4th, over thirty initiates first went to the area outside the Astrodome to distribute relief items to individual evacuees and their families, many of whom cried at the sight of the caring sisters and brothers. Moreover, the police assigned to secure the vicinity gave Association members access to areas that had not been available before. 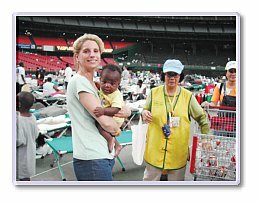 This was truly a miracle as the relief workers were then able to enter the Astrodome itself and distribute gifts and water directly to the evacuees staying there. The large building was filled with row after row of neatly placed cots, on which many mothers were sitting comforting their small children. Elderly people in wheelchairs were also staying at the facility, along with the sick who could not leave their beds. 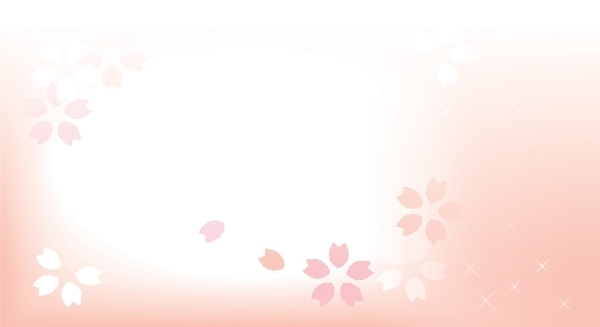 But each face became brighter as they received a gift package containing a small picture of Master. Some people even laughed with the initiates and spoke in a light-hearted manner, expressing their repeated thanks to the disciples. Besides working in Houston, fellow initiates from the Pennsylvania Center also visited the Salvation Army headquarters in El Paso and donated diapers, baby food, baby formula, writing paper, pens, underwear, snacks and towels to victims. The organization’s manager and staff were extremely pleased at the initiates’ efforts, saying that the items were a blessing for the Katrina evacuees since most were babies and parents desperately in need of diapers and baby food. Fellow initiates from the Pennsylvania Center deliver supplies to the Salvation Army headquarters. Below are a few of the touching stories the hurricane survivors shared with relief team members as they received their gift packages filled with our beloved Master’s boundless love. Also, a young couple with three children aged three, four and nine along with their sixteen year old nephew had to quickly evacuate their house during the night because water had suddenly gushed into the dwelling. With the children on their parents’ shoulders, the entire family walked through the flood waters to a bridge about three blocks from their home. They then slept on the side of the bridge with no possessions or blankets to keep them warm and dry. Upon receiving their gift packages, the family kept saying thanks to our Master for sending them the timely, precious items that comforted their hearts and souls. Moreover, their three-year-old daughter Lisa softly kissed and hugged one of the disciples and was reluctant to let her go. 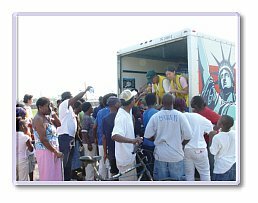 When the Hurricane Katrina aid mission was complete, the relief team members returned to their homes in high spirits, having strongly felt Master’s power protecting and caring for them twenty-four hours a day. Her love was present within all the initiates so that they could deeply sympathize with the victims’ pain and suffering, overcome obstacles, fatigue and the polluted environment and distribute basic necessities to many people. Thus the sisters and brothers would like to thank Master for assisting them in their work and guiding them by Her example to always do good deeds. When helping others the helpers become the ones who receive the most! We are truly the most fortunate and happy beings on the planet because we have You as our Teacher. “Thank You very much, Supreme Master Ching Hai,” says a recipient with hands full of relief materials. According to a recent survey on homelessness, in February 2005, 36,166 destitute New Yorkers were sleeping in shelters, including 14,884 children. And during the past year, New York City’s homeless population reached record levels, not including those wandering the streets. Although New York has many government and privately supported shelters, material aid can go only so far in assisting the homeless. What these less fortunate brothers and sisters also need is unconditional love, a sense of dignity and spiritual comfort. 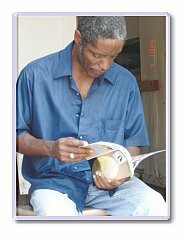 So on September 3, 2005 a group of New York initiates provided the patrons of Peter’s Place, a 24-hour drop in shelter serving homeless people from the ages of 55-85, with nutritious vegetarian meals. In order to offer the best possible service to the recipients, before preparing the food the initiates personally inspected the facility, checked its weekly menu and learned that the shelter was unable to provide fruit and green vegetables to its visitors, most of whom were suffering from diabetes, high blood pressure or both. So the cooking team prepared a special menu low in vegetable oil but high in flavor, color and balanced nutrition. In addition, one of the women staying at the shelter said, “I can feel Master’s energy coming from the TV screen,” and added that she was a Muslim and once a vegetarian. After watching Master’s video she felt inspired to return to a vegetarian diet. Another gentleman, after reading the Quan Yin pamphlet he had been given, was so eager to learn more about Master that he almost ignored the lunch being served in front of him. And filled with Master’s blessing power, the shelter patrons said, “We’ve never eaten such a great feast before, and don’t even feel sluggish afterwards!” They also thanked the practitioners individually, asking them to convey their appreciation to Master. In truth, however, the initiates were the ones who felt most grateful because through working with the homeless, the sisters and brothers came to understand how lucky they are, realized the joy of giving and were able to put Master’s teachings into practice. The initiates used the food distribution activity at Peter’s Place to share Master’s love and blessings with their less fortunate friends to let them know that they are not forgotten by society and are as unique as everyone else in God’s eyes. As the shelter chef said, “I had a good job before, but I’m much happier here. I felt that I was compelled by an invisible force to come here to serve.” What a spiritual statement!